Trying to find the best book on angular? You have come to the right place, we have a list of best Angularjs books for you to learn and become an expert at AngualrJS programming. Are you looking forward to being a developer of lighter and smaller web apps that are simple to create and easier to test? This article will serve as a handy guide that gives you a fair idea about different and best AngularJS books. Many of the books mentioned in this article will serve the purpose of your reading and help to gain knowledge about light web app development, which is gaining popularity worldwide. You can make use of this article to assess your requirements and choose the books that are more appropriate for you. 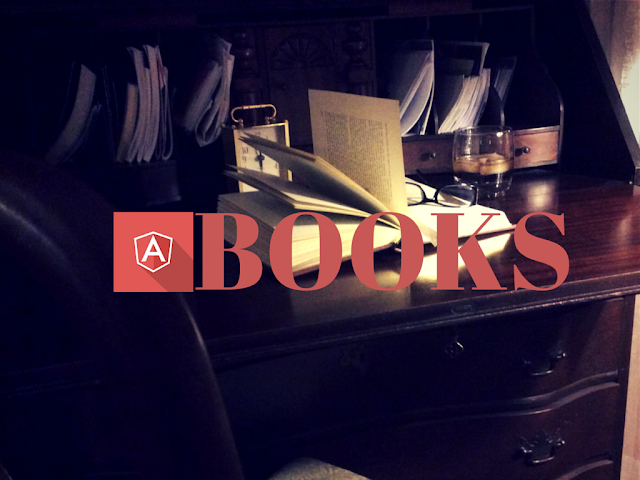 After reading this article, you will be able know more about the most useful Angular books that perfectly suits your requirements. This is one of the AngularJS best books available in the market. This AngularJS book is basically a practical guide that teaches the step-by-step process, from basic to advance, of using the meta-framework. Once you complete this book you will be able to understand the way of developing a large, performant and maintainable application with AngularJS. If you are looking forward to get started with AngularJS – whether as an additional tool or a main work or just as a side project – there cannot be any better book than this one. This is one of the best AngularJS books in the market that has illustrative examples and help learning AngularJS programming by offering sample code illustrations. This book has all the required explanation pertaining to AngularJS starting form preparation of development environment for AngularJS programming. The basic of AngularJS programming and the development tools are well described in what you can call the best Angular book. The demo and illustrative examples given in the book are the most helpful aspects for the readers and help in better understanding of the aspects of AngularJS programming. This is one of the best AngularJS books that will help you expanding your horizons by teaching you the skills that are required while designing, customizing, building and delivering the real-world applications built on AngularJS. This book is regarded as best book for AngularJS because of its beautiful and detailed explanation about the small details of AngularJS programming. This book will help you learn how to develop a native-like and intuitive application by leveraging the CSS3 framework. This book will also help you learn to-do application, project management application, Github dashboard and many others. AngularJS is regarded as one of the innovative and most exciting newly invented technologies for web development. This requires good knowledge of web application development and Learning AngularJS is the right resource to learn the AngularJS programming from the scratch. By reading this best book on Angular you will be able to learn the secret of creating powerful and interactive web application with well-structured and reusable codes. This book will help you to be a better web developer by making you to adhere to the basic design and structure rules. Many of the readers regard this book as best book on AngularJS. This book not only help you learn the fundamentals of AngularJS but also enable you to grasp the essence of the internal mechanism that drives AngularJS programming. The book starts with a short tour of AngularJS that offers basic knowledge about the program and its utility and ends with exercises for creating more complex directives. This is a complete book for AngularJS programming that will keep the reader busy and engaged till the completion of all the chapters. Now that you have the repository and information about some of the best books for AngularJS, it is your choice to choose the one that best suits your learning needs. You can use this article as your research base for great books on AngularJS and learn one of the most exciting and innovative web application program. Updated on April 2019: Minor changes for https and updates to introduction section.